A mother's love can't be measured! Show your love with these large oval stones: 5x3mm. Choose one to six 5x3mm oval stones. Shared prongs. Two diamond accents. 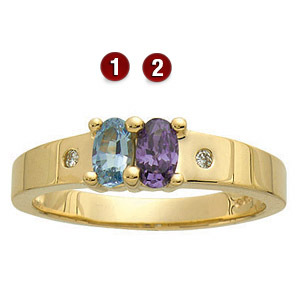 Ring is available in white or yellow, 10k or 14k gold, with simulated or genuine birthstones.